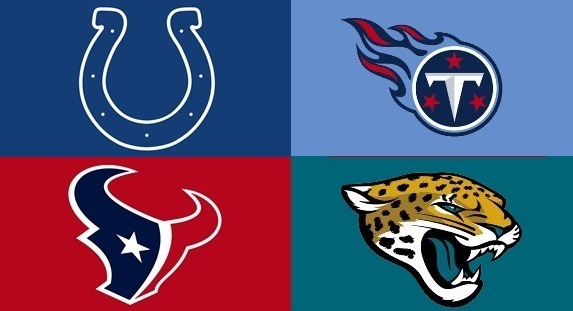 Since the formation of the AFC South in 2002, thirteen years ago, the Indianapolis Colts have dominated the division, winning nine titles, including the last two years. The Houston Texans have been their biggest competition over the last few seasons, but that may begin to change. The Tennessee Titans have high hopes for rookie #2 draft pick QB Marcus Mariota, who has invigorated a struggling franchise. The Jacksonville Jaguars, another struggling franchise, hope to turn it around behind second year QB Blake Bortles. Even with all the advancements by other teams, not much has really changed in this division. The Colts offensive firepower can rival any team in the league. Star QB Andrew Luck has never missed the playoffs, and is coming off his best season in the league. They hope to build off his momentum, and have added superstar WR Andre Johnson into the mix of weapons. They have also added some depth and power to the offensive line with the addition of Todd Herremans. Indy hopes the upgrade at O-line and the addition of Frank Gore to the stable of running backs will lead to more production on the ground this season. This offense is scary. The Colts’ biggest issue last season was defense, and they attempted to address some of those issues this offseason. They spent their second, third, and fourth round pick on defensive players who they hope will contribute immediately. Also, the additions of OLB Nate Irving and pass rusher OLB Trent Cole will add some much needed help in pass defense. There is still work to go, but this defense, along with possibly the best offense in the NFL could bring the Colts back to the top of the league. The Houston Texans won back-to-back division titles in 2011-12 under Gary Kubiak and Matt Schaub, but have struggled to be competitive the last few years. They currently have the most dynamic player in the league, in DE JJ Watt. They have #1 overall pick in 2014 JaDaveon Clowney rushing behind him. They bolstered the middle of their defense with the addition of former Patriots great DT Vince Wilfork. Brian Cushing is still there, and hopes to stay healthy this season. The biggest concerns for Houston are on offense. They no longer have Mr. Dependable Andre Johnson at WR, and Arian Foster, their top running back, will possibly miss the season with a groin injury. They have had question marks at quarterback as well. They have former Patriot Brian Hoyer who was recently named the starter, followed by another former Patriot Ryan Mallett. Third is second year QB Tom Savage. If they can get solid play from Hoyer, or one of the others, it could make them a playoff team, but I see them finishing just outside of the playoff race. The Jacksonville Jaguars are looking to make some progress. Despite their poor record the past few years, this is a team that has played hard and been in some close games. They have a tough offensive line to protect second year quarterback Blake Bortles and hopefully open some holes in the ground game. They also went out and got Bortles a prime weapon in TE Julius Thomas from Denver. They hope this will allow them to take a step forward from last season. Jacksonville’s first round pick, DE Dante Fowler, tore an ACL in camps and will likely miss the season. This is a major setback for a young defense that needed more pressure on the quarterback. Their second pick, HB TJ Yeldon, should fit into this offense nicely and have an impact early on. Despite some improvements, though, I see the Jaguars taking a step backward this season. All the talk about the Tennessee Titans this offseason has been about first round pick (#2 overall) QB Marcus Mariota out of Oregon. However, I seem to be alone in thinking that a quarterback they drafted last season, Zach Mettenberger, is by far the best quarterback on their roster. If they start Mettenberger, they could be close to an 8-8 team, but I’m positive they will stick with the hype and start Mariota. Other rookies that hope to make an offensive impact are WR Dorial Green-Beckham of Oklahoma, and fifth round pick HB David Cobb of Minnesota. The Titans have also added former Falcons WR Harry Douglas and TE Anthony Fasano to help Mariota along in his progression. On defense, they added Brian Orakpo, a monster of a man, as well as CB Perrish Cox. Though the defense looks solid, this offense will have issues, and the team will not win many games with their rookie quarterback. This entry was posted in Opinion, Sports and tagged AFC South, Andre Johnson, Andrew Luck, Anthony Fasano, Arian Foster, Atlanta Falcons, Blake Bortles, Brian Cushing, Brian Hoyer, Brian Orakpo, Dante Fowler, David Cobb, Denver Broncos, Dorial Green-Beckham, football, Frank Gore, Gary Kubiak, Harry Douglas, Houston Texans, Indianapolis Colts, Jacksonville Jaguars, JaDaveon Clowney, JJ Watt, Julius Thomas, Marcus Mariota, Matt Schaub, Minnesota University, Nate Irving, New England Patriots, NFL, Oklahoma University, Oregon, Perrish Cox, playoffs, Ryan Mallett, sports, Tennessee Titans, TJ Yeldon, Todd Herremans, Tom Savage, Trent Cole, Vince Wilfork, Zach Mettenberger. Bookmark the permalink.